The Skowood shape is nice and contemporary. The nose and tail are a bit shorter than a Berlinwood for example. 100% up to date! 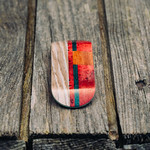 A one of a kind fingerboard package in the scene! 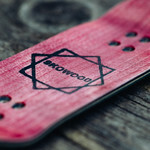 As I told you in the introduction, Skowood is a brand from Poland. 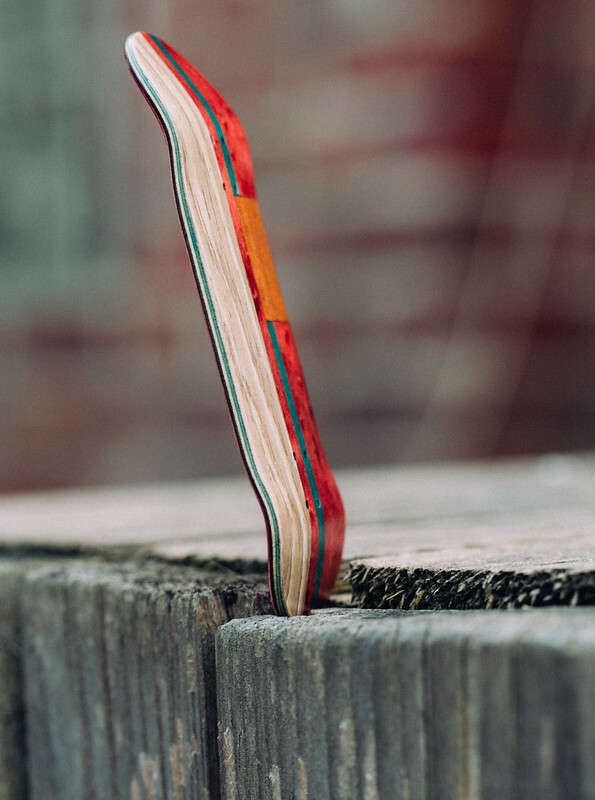 Maciej makes every deck by hand only. 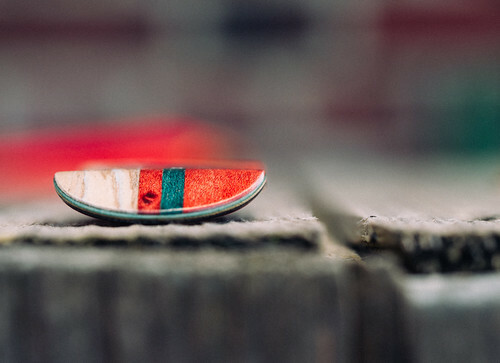 You won´t see an unperfect edge on this deck. Every sheed of the wood on this deck got a solid and bright color. The parts for this splitply deck are cutted out perfect. As I told you, no unperfect edge! 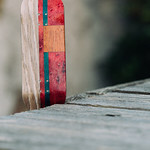 There are not only normal fingerboards in the Skowood product line. Maciej makes a lot of different cuts with creative handpaintings and even some collabos with some other brands. He´s the guy who came up with the triangle nose —> you should check out his instagram @skowood1 for his portfolio! 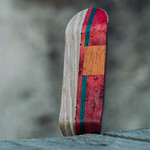 I´mn really sorry I need to tell you, there are no boards left in the webshop at the moment. 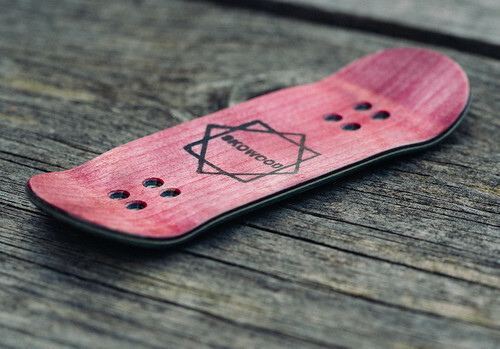 Skowood is a core fingerboard brand and the stock is mostly sold out within one day. The next stock announcement will be up this site for sure! 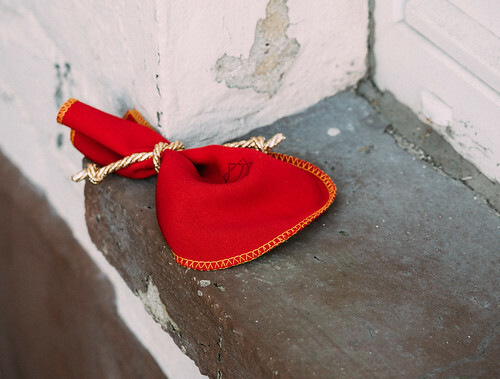 Thx a lot for this little letter of happyness from Poland, Maciej! I really appreciate the work you do for your and our scene!